131 008 is the only real National Taxi Booking Number. There are over 300 Taxi services throughout Australia using this number. Frequent Taxi users should program this number into their mobile phone. 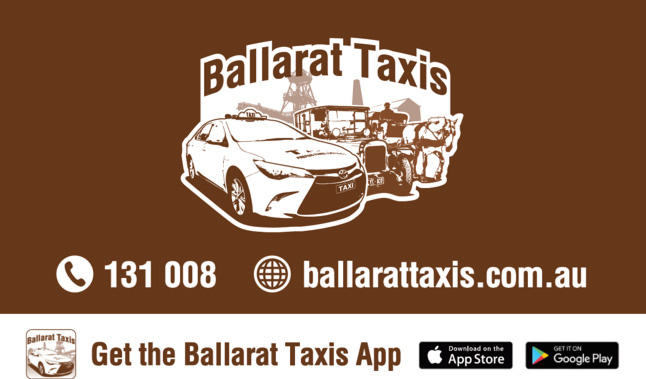 Fleet Info: The Ballarat Taxis fleet currently exists of 61 vehicles – 50 of these vehicles are standard taxis (sedans and station wagons) and the other 10 are WAT’s - (Wheelchair Accessible Taxis). Vehicles are available for journeys around the Ballarat area as well as longer trips to Melbourne, the Airport and many other destinations. We offer a door to door service, and if you are travelling with friends and need to be picked up or dropped off at different places, this can be easily arranged. In fact we can take you just about anywhere. © 2009 Taxi 131008 Limited All Rights Reserved | Managed by Taxi 131008 Limited.